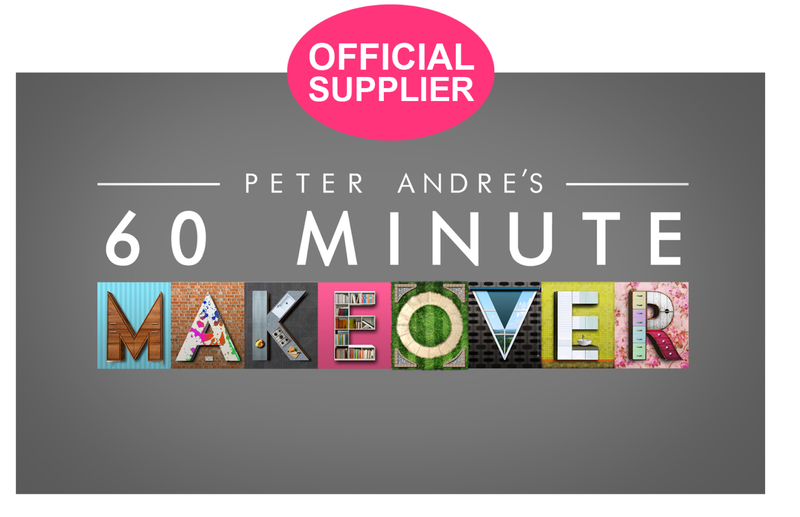 We were delighted to have our Mini Moderns cushions and kitchenware featured on a recent edition of Peter Andre’s 60 Minute Makeover. Designer Ben Hillman, Peter and the makeover team visited Hertfordshire, where they helped Claire and Ollie Hart surprise mum Michele with a home transformation. Ben used a vibrant combination of our cushions and plates in a dining room scheme that was really stylish and very practical. Homeowner Michele clearly loved the new design. 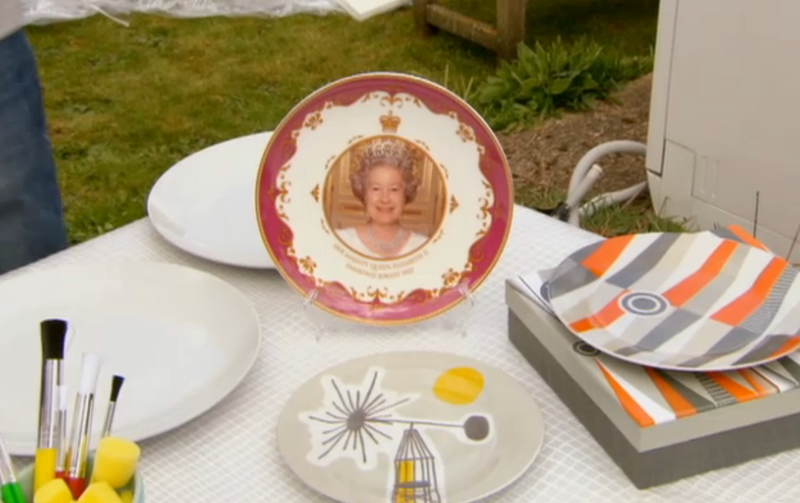 Our plates were also used, alongside some vintage finds, as inspiration for Peter, Claire and Ollie to paint some personalised ceramics for mum Michele. Proud, us? You bet. Meanwhile, in the kitchen our bone china mugs were lined up, ready for a well earned cuppa. I’m now wondering if one of your china mugs might have been the inspiration for one of our radio colours or maybe it was just happenstance. Either way, If I’d realised I would have taken a picture of them together! Well done for being featured.